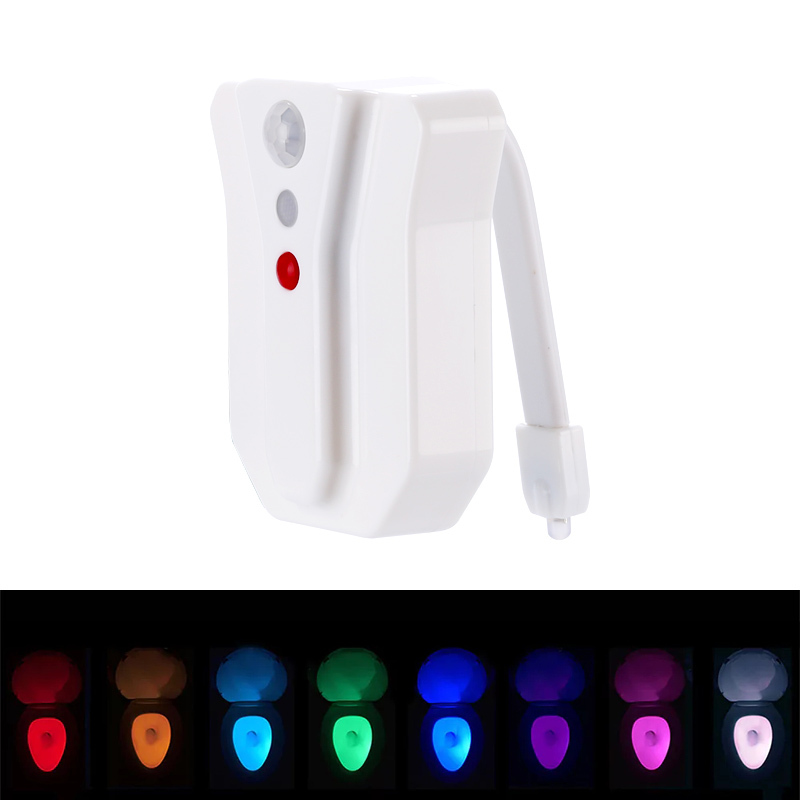 Successfully Added LED Toilet Light - 8 Colors, Motion Sensor, Light Sensor, Energy Saving, Easy To Clean, 3x AAA Battery, 40 Lumen to your Shopping Cart. This LED toilet light is a unique and cool gadget that lets you turn your toilet bowl into a colorful nightlight. With its motion detection system, this LED light will turn on automatically once movement is detected. Additionally, it also comes with a light sensor. This allows your gadget to turn itself on automatically whenever natural light is running low. Thanks to this, you’ll always be able to find the toilet at night without getting blinded by the regular lighting of your hall way. Besides being useful, this little gadget is also great fun. If you’re still looking for a unique and fun gift for your one of your friends that already owns nearly anything, this gizmo certainly will do the trick. Your LED toilet light lets you choose from 8 different colors. This allows you to light up your bowl in such way it meets your bathroom’s interior. Thanks to its universal fit, this cool gizmo can be used with any toilet out there. It is guaranteed to make your nightly trips to the bathroom a lot more safe, fun, and convenient. All you have to do is place the LED light over the edge of the bowl, and you’ll be ready to go. The LED light itself is powered by 3 AAA batteries that can be easily replaced. Thanks to its sanitary design, the gadget is furthermore easy to clean. Whenever you’ll enter the bathroom, this toilet light will make sure that you’re greeted by a soft and nice colored beam of light. Besides picking one color of your liking, it also allows you to choose a color rotating mode. In this lighting mode, it will switch in between all the 8 beautiful colors this gizmo has to offer. From now on, there will be no more stumbling around after dark, messy clean ups, or scary bathroom visits for your kids. With this LED toilet light, you can be guaranteed that everybody will hit its target even after dark. This LED Toilet Light comes with a 12 months warranty, brought to you by the leader in electronic devices as well as wholesale electronic gadgets..